Read about Electrostatic Discharge before servicing this valve body. DO NOT touch the TCM pins or solenoid connectors. This valve body is available to distributors through the R&R service only. It is difficult to identify a 6R60 from a 6R75 or 6R80 without disassembling the valve body because all three look identical from the outside. 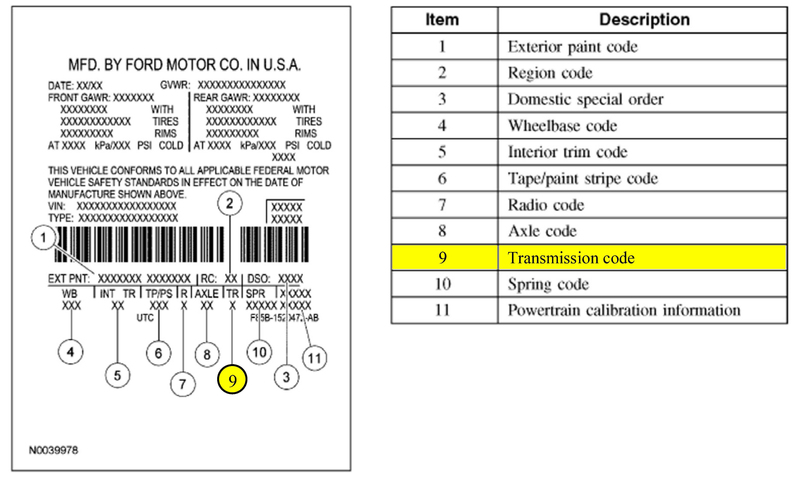 To correctly identify the transmission/valve body type that you require, look on the Vehicle Certification Label, located on the driver's door. Find the code letter/number under the "TR". *F code applies only to '05 Navigator, G code applies to all other ZF6HP26 years.